Vaccines to Battle Tick Diseases? Author SimaPublished on August 25, 2015 March 29, 2018 Leave a comment on Vaccines to Battle Tick Diseases? I recently posted on ways the number of ticks can be reduced in a backyard. Now an article on vaccines being developed to battle tick borne diseases, especially Lyme disease. 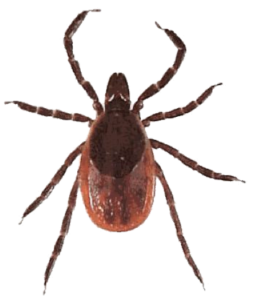 However, the bad news is that ticks now transmit 16 diseases in the US (including anaplasmosis, babesiosis, ehrlichiosis), while vaccines typically only focus on one disease at a time. Tick borne diseases are on the rise throughout the world. Williams is testing whether vaccinating mice against Borrelia burgdorferi, the bacterium that causes Lyme disease in the United States, can reduce the proportion of ticks that are infected. ....Borrelia burgdorferi infects an estimated 329,000 people in the United States each year, according to the US Centers for Disease Control and Prevention (CDC) in Atlanta, Georgia. And although most people who get prompt treatment recover quickly — Williams has had Lyme three times — up to one in five develops long-term and potentially life-threatening symptoms, including heart, vision or memory problems, or debilitating joint pain. ...continue reading "Vaccines to Battle Tick Diseases?" Published on August 25, 2015 March 29, 2018 Categories Lyme Disease, microbesTags black-legged tick, Borrelia burgdorferi, deer tick, Lyme disease vaccine, tick-borne diseases, white-tailed deerLeave a comment on Vaccines to Battle Tick Diseases?